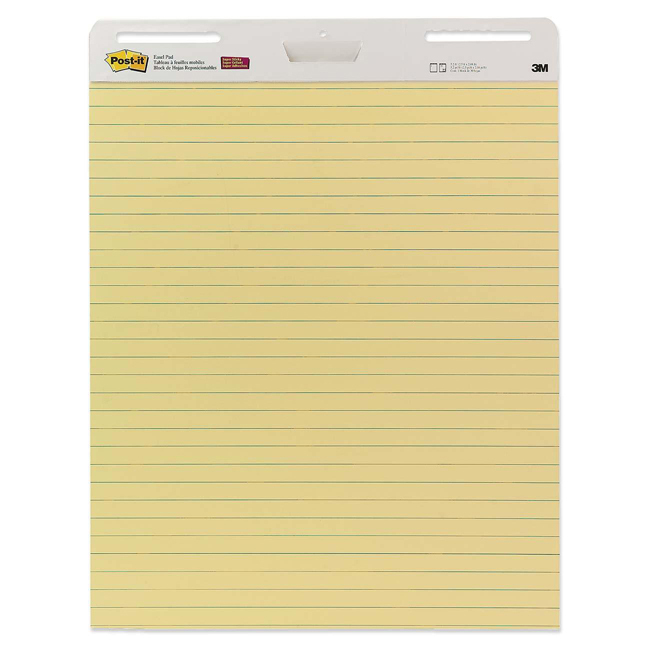 Media Size: 25" x 30"
Post-it 561 Self-Stick Ruled Easel Pad - 25" x 30"
Post-it Self-Stick Easel Pads feature a repositionable adhesive that sticks firmly without damage to most walls. Sticks to more surfaces longer than other easel pads and without an awkward liner. No need for tacks, tape or other fasteners. Easel pads remove easily. Specially coated paper resists bleed-through. Universal slots attach to most easel stands. Sturdy backcards have handles for easy portability and storage. Paper used comes from well-managed forests where trees are replanted.